Former Prime Minister Wellington gave the ministry its name in shouting "Who? Who?" as each new cabinet member was announced in the House of Lords. He died two months before the ministry collapsed. Edward Smith-Stanley, 14th Earl of Derby led the "Who? Who?" ministry, a short-lived British Conservative government which was in power for a matter of months in 1852. Lord Derby was Prime Minister and Benjamin Disraeli served as Chancellor of the Exchequer. It marked the first time the protectionist wing of the Conservative Party had taken office since the Corn Laws schism of 1846. It is also called the first Derby–Disraeli ministry. Early in 1852 Arthur Wellesley, 1st Duke of Wellington, by then very deaf, gave Derby's first government its nickname by shouting "Who? Who?" as the list of inexperienced Cabinet Ministers was read out in the House of Lords. 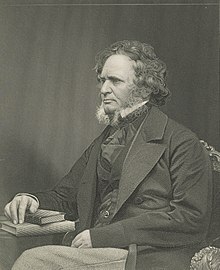 After the fall of Lord John Russell's Whig government in early 1852, the Conservative leader Lord Derby formed a government. The conservatives had been weakened by the defection of the Peelites, and many of the new Cabinet ministers were men of little experience. The government became known as the Who? Who? Ministry due to the lack of prominence of its ministers. The government was in a significant minority, and lasted less than a year, collapsing in December. The Whigs and Peelites then formed a coalition government under the Peelite leader Lord Aberdeen. Though the government had little impact, it attracted derision through its plethora of new political names, which demonstrated the relative inexperience of the party. Only four members of the Cabinet (Derby himself, St Leonards, Lonsdale, and Herries) were existing Privy Councillors and many others were complete political unknowns. Cabinet members are listed in bold face. ^ Tout, T. F. (1910). An advanced history of Great Britain from the earliest times to the death of Edward VII. New York: Longmans, Green. pp. 740–741. OL 13991885M. ^ Bloy, Marjorie (2011). "Biography-Edward George Geoffrey Smith Stanley, 14th Earl of Derby (1799–1869)". A Web of English History. Archived from the original on 14 May 2011. Retrieved 6 April 2011. ^ "A Web of English History". Retrieved 4 June 2011. "Lord Derby looses bigotry on the streets". Manchester Guardian. 3 July 1852.